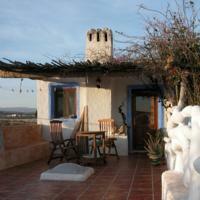 All the simply decorated accommodation follows the principles of feng shui and has views of the garden. The private bathroom comes with a bath tub or shower. Houses also include a living room with a fireplace and a kitchenette with a dining table. Located in Huércal-Overa in the Andalusia Region, 33 km from Mojácar, Hotel Rural Miguel Rosi features a barbecue and terrace. Guests can enjoy the on-site bar. Free WiFi is featured throughout the property and free private parking is available on site. Every room is equipped with a TV. The rooms are equipped with a private bathroom with a bath and bath or shower, with free toiletries and a hairdryer provided. You can engage in various activities, such as cycling and hiking. Vera is 20.8 km from Hotel Rural Miguel Rosi, while María is 38.8 km away. 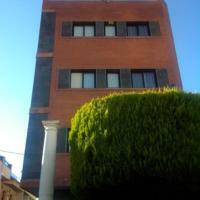 Simply decorated, rooms come with single or double beds; and a private bathroom with shower. They all have a flat-screen TV, and some rooms have a balcony with street views. Free WiFi is available in all areas. The restaurant inside the property serves traditional dishes, and tapas; and you can find several supermarkets and bars within 5 minutes. 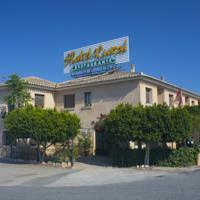 Hostal Zurich is in Almería Province, 40 minutes’ drive from San Juan de Los Terreros Beach. 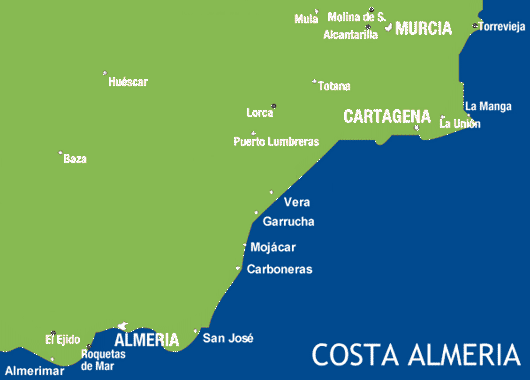 The closest airport is in Almería, 100 km away. Huercal-Overa is a municipality of Almería province, in the autonomous community of Andalusia, Spain, located near the border with the province of Murcia. In the last few years, this town (which is the second biggest town in the province with 15,000 inhabitants) is becoming a favourite target spot for immigrants (many of them coming from the United Kingdom). Huércal-Overa is situated in the Valley of Almanzora and its main economic sources have to do with agricultural activities.